With over 28 years in the sports marketing industry, and successful tenures with ProServ, Inc., Advantage International, Inc, Golden Bear International, and the founding of his own firm IGP Sports & Entertainment Group in 1996, Ken Kennerly and IGP Sports was acquired by IMG Worldwide in April 2013. IMG is the global pioneer and leader in the sports, fashion, media, and entertainment industry with over 3500 employees operating in more than 30 countries around the globe. 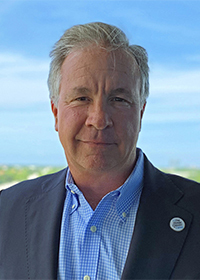 In his role with IMG Golf, Ken continues as the Executive Director of The Honda Classic, one of the premier events on the PGA TOUR, and also oversees the new IMG Golf Palm Beach office, and is the Senior Vice President of IMG Golf and Director of the North America Event Group. In his 27+ year tenure, Ken has been instrumental in the production of numerous professional and amateur tournaments, corporate strategic consulting, sporting hospitality programs, and the representation of several top ranked professional golf athletes and media personalities. In 2006, Ken was recruited by the PGA TOUR to resurrect The Honda Classic, and transform it into one of the premier sporting events not only in Palm Beach County but also on the PGA TOUR nationwide. As part of his vision to rebrand the tournament, Ken moved the event to PGA National Resort in Palm Beach Gardens, and created more than just a professional golf tournament. Capitalizing on the many assets of Palm Beach County, The Honda Classic, over the past 10 years, has become a "must attend" event boasting an increased attendance to over 202,000 spectators and over $3.2m in charitable contributions, for a total of over $12.5m since the tournaments move to PGA National Resort. These charitable contributions are provided to over 100 Palm Beach County children's related charities including the primary beneficiary, The Nicklaus Children's Health Care Foundation. Furthermore, Ken is an active member on multiple South Florida Boards including Palm Beach County Sports Commission, The First Tee of the Palm Beaches, South Florida PGA Section, Palm Beach Gardens Police Foundation, and the American Junior Golf Association Foundation, as well as a former Board member of The Benjamin School in North Palm Beach. As a native of New York City and a graduate of Choate Rosemary Hall and Dartmouth College, Ken resides in Jupiter, Florida with his wife Kelly and their two children, Carly and Charlie.